The move out of the Science end of the Modules has started and one of the instruments which had to be relocated to the Winter Science Camp is the venerable Dobson Spectrophotometer. 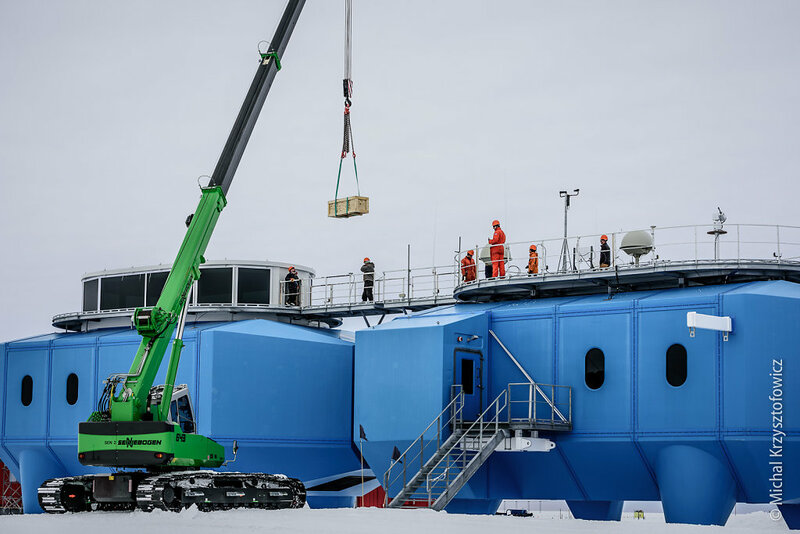 The Tech team have built a custom wooden box for it to protect it as much as possible, and it was lifted out of the Upper Obs onto the deck on top of the H2 module. Then a Sennebogen crane lowered it carefully down to the ground, and it was towed on the Skidoo to its new location for the season. Finally, it was moved into the Science Caboose and installed on the new table.